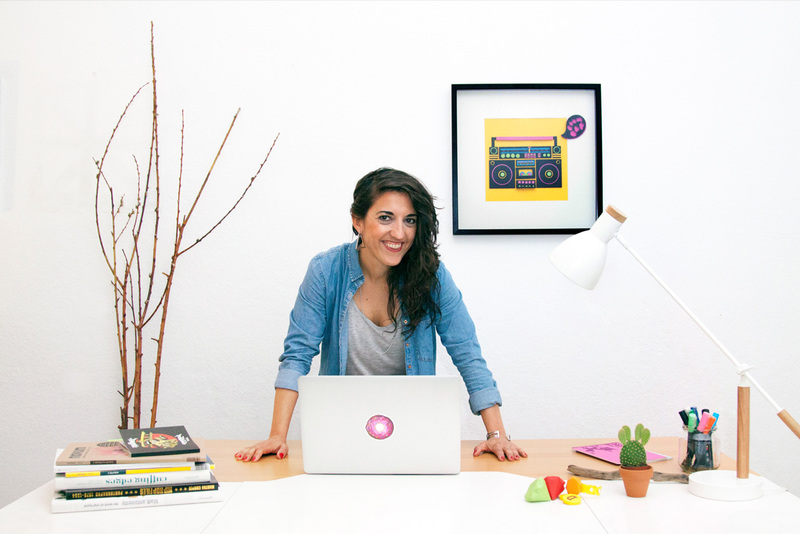 My name is Julia and I’m a graphic designer and illustrator from Madrid living in amazing Berlin. I was still a little girl when I realized what I wanted to be as I grew up. My neighbour was into advertising so jumping into his place was always a trip to Wonderland. I couldn’t avoid the fascination every time I saw one of his campaigns on the media or while listening to him talking about those amazing creative processes. And unconciously, I begun to pay more attention to commercials and graphics, which naturally ended up with myself studying a Bachelor of Advertising and Public Relations and getting enrolled afterward into a Master’s Degree in Creativity and Art Direction, where I really learnt to appreciate and love this business. After collecting experience as a graphic designer and art director for a few years in different agencies in Madrid, I decided to move out to Berlin looking for new adventures. So I’ve been here since 2010 searching, discovering, trying new things and learning non-stop about what nowadays is, to me, not only a job but a way to see the world and to enjoy life. Although here I mostly show works and personal projects related to illustration, paper cut, handcraft and collage, I also have wide experience in art direction, campaign concept and development, graphic, editorial and media design, branding and corporate identity, ATL and BTL and guerrilla communication. In addition I’m working hard on improving my lettering-skills and I’m loving it! If you feel curious about my work, do not hesitate to contact me and I’ll be glad to show you some other projects I’ve worked in all along these past years!